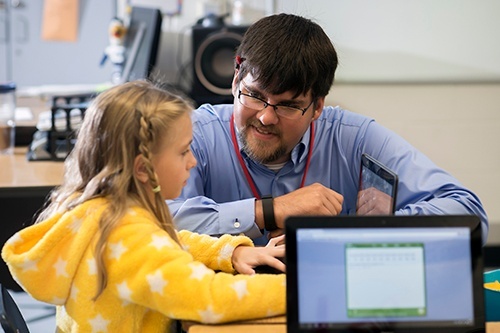 DECEMBER 02, 2015 - MobyMax, innovator of personalized and blended learning curriculum for K-8 students, is helping educators at Georgia’s Screven County Elementary School personalize math instruction to meet the learning needs of every child—leading to remarkable results. Using MobyMax to deliver highly targeted instruction has benefited all of von Waldner’s students—from his lowest to his highest achievers. In just the first nine weeks of school, on average, his fourth-grade math students achieved a six-month grade-level increase, performing three times higher than normal in math. To learn more about Screven County’s use of MobyMax, download a case study at http://spotlight.mobymax.com. For more information about MobyMax, visit http://www.mobymax.com. MobyMax unlocks the power of personalized and blended learning to help students learn twice as fast. The company offers the only complete K-8 curriculum covering English language arts, math, and science. MobyMax identifies skill gaps with find-and-fix technology that targets instruction and helps students increase one full grade level in just 40 hours. Moby’s comprehensive system includes multiple motivation tools, test prep, assessments, messaging, parent portal, classroom clicker, and progress monitoring. MobyMax is used in more than half of all K-8 schools in the United States and has more than 15 million students registered. For more information, visit http://www.mobymax.com.